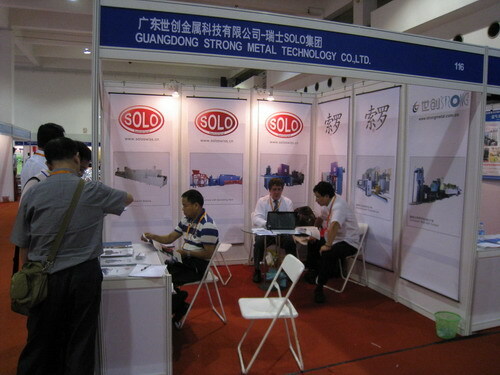 SOLO Swiss Group has participated in the 8th Shanghai Metal Expo – from 14th to 16th June 2012 in China. The SOLO Swiss Group was present, along with its partner Guangdong Strong Metal Technology, and would like to thank all the visitors. Shanghai Metal Expo has been one of the leading exhibitions in the development of metal industry with its continuously distinctive theme and increasing glamour. Shanghai Metal Expo 2012 focus on two special fields: Metal Plate and Tube. Besides, recruiting exhibitors, visitors promotion are starting in the pipeline. More than 400 domestic and overseas media was invited in Shanghai Metal Expo 2012.